We met the high organic standards established by AFRISCO and grow coffee, makadamia, sunflowers, and maize 100% organic. Enjoy our chemicals free foodstuffs! Chipunga Coffee is grown, roasted and packaged on Chipunga Farm. Chipunga Coffee is grown at a high elevation in a cool, wet climate, on terraces of deep-brown-reddish free-draining soils. These conditions are ideally suited to the cultivation of premium quality Arabica coffee. 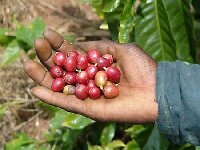 Arabica coffee (coffea Arabica) is indigenous to south-western Ethiopia and grows only at high altitude, under suitable soil and rainfall conditions. The intrinsic taste of coffee is conjured not in the roasting process, as coffee houses would have one believe, but rather it is inextricably linked to the terroir (agro-ecological environment) in which the crop is grown. What really matters is the uniqueness of the soil, water, micro-climates and farming practices. These factors make the taste of Chipunga Coffee truly special. Chipunga Farm follows a traditional, organic-based approach to farming. 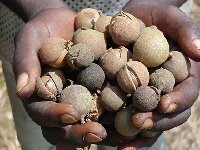 The farm is certified by AFRISCO; further details can be obtained from the Afrisco website (Farm Number 04003). 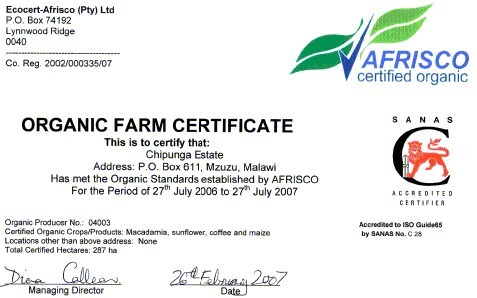 Chipunga Farm attained full organic certification in May 2007. The farm does not, and has indeed never applied pesticides to its coffee plants. The beans are carefully selected, processed, roasted and packaged on the farm to ensure uniform standards and fine quality. Chipunga Coffee contains no additives or fumigants. Chipunga Farm does not employ children. Chipunga Farm operates a social partnership programme with its employees (GRACE). It also assists the wider community to access farm inputs and has established a sunflower growing and processing scheme to enable local smallholder farmers to earn additional income. The farm provides support to the local primary and secondary school (visit www.foerderverein.chipunga.com). Chipunga Coffee is roasted in two styles: medium and espresso (dark); both roasts are available as beans or ground. The ground is suitable for coffee pot plungers, pressure pots and filter machines.